With Bella Kitchens you are just five simple steps away from acquiring your dream kitchen, bedroom, bathroom or home office. From design to completion, we guide and assist you through every major decision, eliminating the stress and allowing the process to be a pleasurable journey to your home improvement dream. 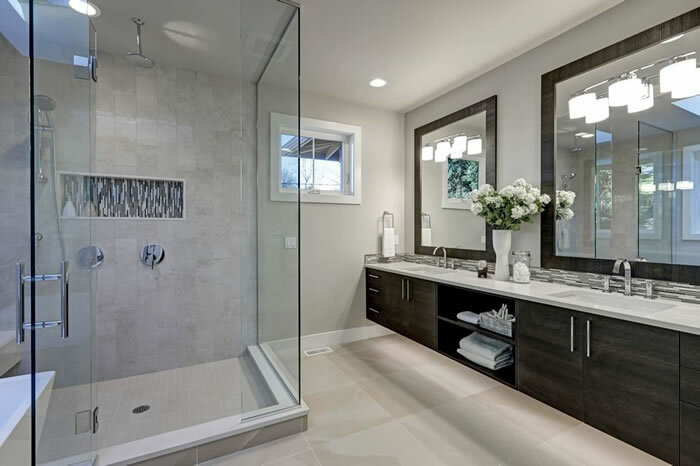 We also pride ourselves in providing high quality bathrooms and not just kitchens. We stock a range of different kitchen brands and will have the perfect kitchen for you. No house would be complete without bedrooms we can help find the design for you. 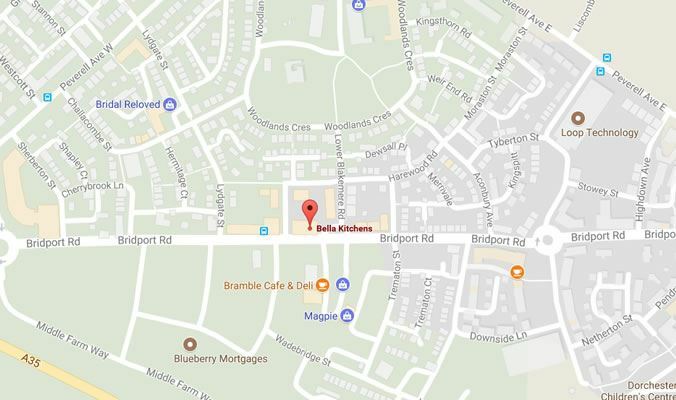 Bella Kitchens' showroom is located on the prestigous Poundbury developement on the outskirts of Dorchester. Previously Bella had showrooms in Weymouth but decided that the business needed to reach further afield with a more modern showroom. The Poundbury showroom benfits from having no parking restrictions and therefore is highly accessible to Bellas customers. Take a look at our latest projects that we've been working on! 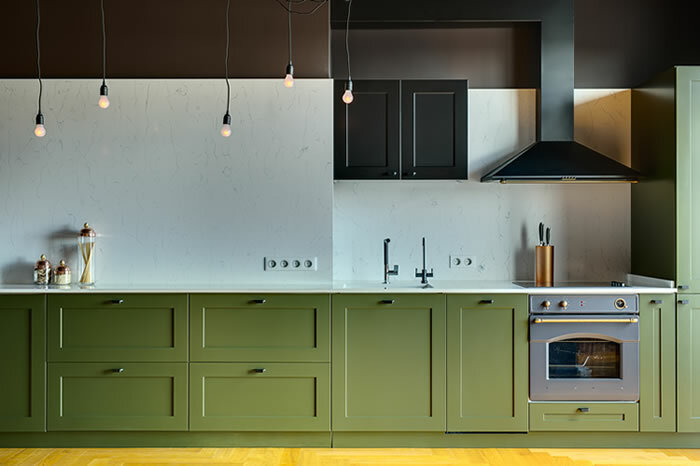 We were impressed with Bella Kitchens design work and were very happy with the workmanship - their staff were helpful and were very accommodating for any minor changes that were required. Our project took a week and they arrived when they said they would. Bella kitchens refitted my old kitchen units plus a new sink and two new units . They fitted new underfloor heating and floor tiles. They also put new wall tiles in. They totally transformed my kitchen. They were helpful, friendly and professional and I am thrilled with my 'new' kitchen. I would highly recommend them. Bella Kitchens fitted my new kitchen and utility room and knocked down a wall to the dining room from the kitchen. They started early to help me and finished only a little later than I hoped. The work was well done and they often consulted me to make sure I was happy.